This is a long post. But there are some things in God’s word that can’t always be easily summarized in less than 1K words. This study was incredibly useful to me and answered a lot of questions that I’ve wondered for a long time. Hopefully it’ll be useful to you to. Should a Christian turn their other cheek when facing insult or injury? Should a Christian allow themselves to be beaten, even into unconsciousness? Should a Christian allow themselves to be permanently disfigured or seriously injured? Should a Christian allow their children to be physically assaulted, even by another adult? Should a Christian not try to stop a drunk driver from running over their family? How should a Christian react when violence occurs, even in their churches, like it did in Charleston, SC last month? To answer these questions the first place that many people will go, and rightfully so, is Matthew 5. Matthew 5:38-41 You have heard that it was said, An eye for an eye and a tooth for a tooth. But I say to you, Do not resist the one who is evil. But if anyone slaps you on the right cheek, turn to him the other also. And if anyone would sue you and take your tunic, let him have your cloak as well. And if anyone forces you to go one mile, go with him two miles. Many would say that the passage is literal. If a Christian is struck on one cheek, they should turn the other and offer it to be struck as well. And I’d agree with that. I believe that what the passage means what it says. But I don’t believe that the context of this passage is speaking to a Christian defending themselves from a violent attack. And I believe that if we take care to examine the context of what Christ was teaching and the principles He was trying to convey to His followers we’ll come to a deeper understanding of the role that self-defense plays in a Christian’s life. To understand what Jesus meant when He said to “turn the other cheek” we need to understand the greater context of the passage. Beginning in vs.17 of Matthew 5 Jesus begins to contrast the letter of the old law with the spirit of the new law. He first deals with anger, then lust, then divorce and the swearing of oaths….then deals with the idea of retaliation in vs.38-41. But Christians are taught in the New Testament that they are to leave vengeance to God and not seek to revenge on their enemies. Romans 12:17-21 Repay no one evil for evil, but give thought to do what is honorable in the sight of all. If possible, so far as it depends on you, live peaceably with all. Beloved, never avenge yourselves, but leave it to the wrath of God, for it is written, “ Vengeance is mine, I will repay, says the Lord.” To the contrary, “ if your enemy is hungry, feed him; if he is thirsty, give him something to drink; for by so doing you will heap burning coals on his head.” Do not be overcome by evil, but overcome evil with good. And revenge, an evening of the score, is what Jesus was teaching against in the three examples he gave in Matthew 5:38-41. ALL THREE EXAMPLES WERE GIVEN TO COMBAT THE IDEA OF REVENGE, this point cannot be stressed enough. It’s also worth noting what’s at stake when Christians seek revenge, which is often a prideful spirit. When I’ve been injured, what is it that’s often damaged the most? Our pride. For example, have you ever hit your head or slipped and fell or walked into a glass door? What’s the first thing you do? You look around to make sure that nobody saw what happened! I once gave myself a concussion, my pupils were different sizes and one wouldn’t react to light and I had a giant knot on my head and when it happened, the FIRST thing I did was look around to see if anyone noticed. And the same thing happens when other people injure us. Not only are we physically hurt, but our pride is hurt. We’re embarrassed that someone else has exerted authority over us. We’re embarrassed about what people might think about us. And we want to make sure that everyone knows how strong we are. And that prideful spirit is what we see condemned over and over in the Old and New Testament. So with that idea in mind, that the point of this passage was to teach against revenge and a prideful spirit, let’s look at the three examples that Jesus gave us (going the extra mile, giving the shirt off your back, and turning the other cheek). We have a record in Matthew of Jesus telling his disciples that after they had done what they were commanded to do (carrying the load one mile) they should willingly carry the load a second mile. There’s no doubt that a Jew, one of God’s chosen people, would be utterly humiliated to have to carry the load of a Roman soldier. It’s not just the idea that you’d have to carry something for a mile. And what are the odds that you’d just happen to be traveling, empty handed, in the same direction as the soldier? Carrying his load for a mile would almost certainly mean a two mile round trip (going with him for a mile and then coming back to the starting point) and would likely result in you having to leave your belongings unattended so you could carry everything he wanted you too. The problem wasn’t just about walking a mile, or carrying someone else’s burden. It was about the insult and humiliation that came along with that command. And Christ taught that a Christian must be willing to endure that insult and humiliation. And not only endure the humiliation, but do more. Christ’s disciples are to be people that cannot be humiliated, because they are to be void of a prideful spirit. When we empty ourselves of pride, carrying someone else’s burden isn’t oppression…it’s simply part of our duty toward the government and the law of the land. A mile isn’t that far. Doing something for someone else isn’t embarrassing, in and of itself. But when we have a prideful spirit, that spirit that wants everything to be “fair” and for us to be able to exact revenge on our enemies to even the score…..Then our plans are more important than the soldier’s plans. Our burden is more important than his. And our prideful spirit refuses to be in subjection to him. And it’s that prideful spirit, that desire for “fair”, that Christ was teaching against. In New Testament times many of the poor people that Jesus was speaking to only wore two garments, that could be called their tunic and their cloak. They had an outer garment and an inner garment. And Christ told his disciples that when someone took their inner garment, to willingly give up their outer garment as well. Can you imagine the scene? A disciple of Christ standing in court, offering the inner garment that was sued for, but then stripping naked in court and offering his outer garment as well? Again, we can see the humiliation involved in being stripped of your clothing. This was a situation where the poorest of the poor were being stripped of the last things they owned. They had nothing to offer, so their clothes were taken from them. How shameful would it be to be so destitute that we were indebted to others, but literally only owned the clothes on our backs? And EVERYONE WOULD KNOW. An outer garment was standard clothing for the day. And when you’re the guy walking around without one, everybody who sees you knows just how financially bad off you are. Everyone knows that you have NOTHING left, and you’re not able to pay your debts. You’d be ashamed to be brought to court for not being able to pay your bills. You’d be shamed in front of your peers for not having your clothing. But Christ was teaching that his followers should be people who couldn’t be shamed! The only thing more embarrassing than having your outer garment taken would be to stand naked before everyone, with literally and absolutely no earthly possessions. But those are the followers that Christ commanded us to be. (Not naked followers….) When the old law told the Jews that when they were wronged they could take revenge to avoid embarrassment, Jesus told his followers that they should be incapable of being embarrassed. Jesus’ disciples should be people that when asked for a little, should give more. They should give everything they have, willingly, because their identity and self worth isn’t contained in the things of this world. Now that we have in mind the kind of attitude that Jesus was trying to combat, and understand the other two examples that Jesus gave to prove his point (traveling the extra mile and giving your cloak to those that sue you), let’s look at the idea of a Christian “turning the other cheek” to those that assault them. When looking at this passage we have to remember that this is still a contrast to the Old Testament law of an “eye for an eye and a tooth for a tooth”. The Old Testament law called for vengeance and retribution and Jesus was trying to give his disciples an attitude of meekness and reconciliation. And I think that in light of the other two passages, the “turn the other cheek” passage is easy to understand. In contrast to the law of an eye for an eye, Jesus told his disciples that when they were struck that they should be willing to be struck again. Jesus was dismissing the idea of revenge and replacing it with the idea of mercy. Jesus was dismissing a prideful attitude and trying to instill in his disciples an spirit that couldn’t be insulted or shamed, because their pride and self-worth weren’t wrapped up in the things of this life or what other people thought of them. I believe that the language is clear in Matthew 5…..In response to mistreatment by the world, a disciple of Christ should go far beyond what is required of him and what the world expects AND NOT REACT OUT OF PRIDE OR VENGEANCE. And that may very well require you to literally turn the other cheek when assaulted. If your immediate reaction to that statement is that “OH NO, I DON’T HAVE TO PUT UP WITH THAT”….that’s the prideful spirit that Jesus is trying to teach against. There’s nothing FAIR about having to give up all of your worldly possessions. There’s nothing FAIR about going the extra mile to serve an oppressive government. And there’s nothing FAIR about being asked to turn your other cheek. It’s worth mentioning that much ado has been made about the “right cheek” portion of Jesus’ admonishment. Scholars have surmised that being struck on the right cheek meant that the offender was merely insulting the disciple, either verbally or with a backhanded slap. And that may be, I can see the logic in that. But I don’t think that it really makes a hill of beans difference. The point still stands that when a Christian is wronged, HE CANNOT RESPOND IN PRIDE….even if that means that he will be literally injured. So does this command to empty ourselves of pride and vengeance prohibit a Christian from defending themselves or others? I don’t think it does. At this point people sometimes turn to the trial and crucifixion of Jesus to teach that a Christian cannot defend themselves. And I don’t think that the example of Christ’s trial, although a good example, is binding on Christian’s today. The circumstances surrounding Jesus’ trial and crucifixion were very special. Jesus was God in the flesh, who had come to earth for the specific purpose of dying on the cross. For Jesus to defend himself would have countered and worked against the very purpose for His life. And if we look at the New Testament as a whole we see that not EVERYTHING Jesus did in his life is a binding example on us today. In Matthew 21 we have an example of Jesus entering Jerusalem on a donkey. But that obviously isn’t a binding example of how Christians today would have to enter Jerusalem. Mark 6 tells us that Jesus was a carpenter by trade, but that obviously isn’t a binding example of what Christians today should do for a living. We know that these examples aren’t binding on us because we see examples of faithful Christians acting differently in the New Testament. There’s no other example in the New Testament of Christians having to enter Jerusalem by donkey and there’s examples of Christians in the New Testament having careers outside of carpentry (Paul was a tent maker). And I believe that the special circumstances surrounding the trial and crucifixion mean that Christ’s example isn’t binding on us today in response to a physical assault. We see in Acts 22 an example of Paul being assaulted by Roman guards AND NOT SIMPLY ACCEPTING THE FACT THAT HE WAS BEING ASSAULTED. Paul refused to be whipped by the Roman guards. Paul defended himself and stopped the Roman assault against him, in contrast to the example given by Christ when assaulted by the Romans. I believe this one example is evidence enough that Christians aren’t bound to remain silent in the face of a physical assault JUST BECAUSE CHRIST DID. So how do we reconcile the two positions? How do we reconcile the notion that a Christian should turn the other cheek and that a Christian also has the right to defend themselves? 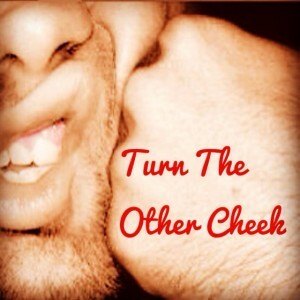 I think that the admonishment to “turn the other cheek” actually had very little to do with being physically assaulted. Jesus gave three examples of the attitude his disciples should have toward being mistreated. And all three examples had to do with their attitude. Jesus wasn’t trying to give his disciples a checklist of things TO DO, he was trying to explain to his disciples what kind of people they SHOULD BE. They should be people that empty themselves of pride and a vengeful spirit. If you respond to your oppressive government with pride and a refusal to submit yourself to the law….you’re wrong. If you try to avoid paying your debts because you’re pride and identity are wrapped up in “stuff” and what other people think about you….you’re wrong. And if, when you’re insulted or injured, you respond with a vengeful and prideful spirit that demands for things to “be fair”….you’re wrong. Turning the other cheek is a manifestation of the attitude Jesus was trying to instill in his servants. An attitude of reconciliation and meekness and lack of pride. The same attitude that Paul was trying to instill in the Romans when he told them to “avenge not themselves”. So I believe that when a Christian is confronted with violence we should not only examine WHAT we do, but WHY we do it. Can two Christians do the exact same action, but one be right and the other sinful? I think so. The Bible teaches that physically discipling your children is a good thing. So Christian #1 sees his children misbehaving and spanks them to correct their actions. But what if Christian #2 has a bad day at work and comes home and spanks his children just to vent his anger and frustration? They both did the same thing, but for different reasons. Christian #1 has an impatient heart that is full of anger and bitterness, and in a moment of weakness he uses foul language to belittle and hurt the people around him. Christian #2 witnessed what happened and has to repeat what was said to police officers that responded to the disturbance. They both said the same things, but for different reasons. I think these examples are sufficient to show that it doesn’t only matter what we do, but why we do. And I think that’s an important thing to keep in mind when a Christian is confronted with violence. If you are confronted with violence and you respond out of a desire for revenge, I think you’re wrong. But if you respond out of fear for your safety or the safety of the people around you, then Jesus’ admonishment against revenge doesn’t apply to you. And that’s what I think is so often missed when we talk about “turning the other cheek”. Matthew 5 isn’t dealing with how we react when an assault happens, it’s dealing with how we react when the assault is over. Let me give an example to illustrate that point…..
Have you ever seen a video of a police officer fighting with someone? If someone begins fighting the police officer and he fights back, we generally don’t have a problem with that. A police officer can hit someone 100 times and be completely justified, if he’s hitting the person to try to subdue them. But what if the bad guy is subdued? What if he’s handcuffed and has calmed down and then the cop decides that he wants JUST ONE more punch? Is that one punch thrown in revenge justified? Of course not. And I believe that Christians need to understand that distinction. A Christian can use force against a bad guy to defend themselves or protect other people. But Christians can’t use force to exact revenge on those who have wronged them. I believe that a full understanding of Matthew 5 will show a difference between seeking revenge and stopping violence against ourselves or someone else. I believe that if a Christian is faced with violence, their first response should be to endure the assault. If someone is venting their anger toward us or seeking to shame or insult us, it’s our job to suppress our pride endure the violence (and I’ve had to do this). But I also believe that there’s nothing to be gained by a Christian letting a criminal permanently injure them, burden their family with unnecessary medical bills, or inflict long term mental and physical damage to their family, or kill someone. Paul obviously didn’t understand “turning the other cheek” as a literal command to just let the Roman soldiers beat him senseless, and I don’t think we have to interpret the passage that way either. When responding out of fear for their safety or for the safety of others, I don’t find anything in the Bible that prohibits a Christian from stopping violence (or even using force to stop that violence). But when a Christian is responding out of pride and a desire for revenge I think that he’s not only wrong, but that he’s exhibiting the exact attitude that Jesus was teaching against. There may come a time when you should literally turn the other cheek. Enduring persecution or being willing to suppress our pride to show a Christ-like spirit are noble things. But protecting yourself and those that you love from serious injury or death isn’t what Christ was talking about when he told his disciples to “turn the other cheek”.